criticus has been improved by the collation of two previously neglected medieval manuscripts, which belong to the so-called Roman family. A number of passages remain puzzling, and Wilson proposes new solutions and provides plausible emendations wherever possible. 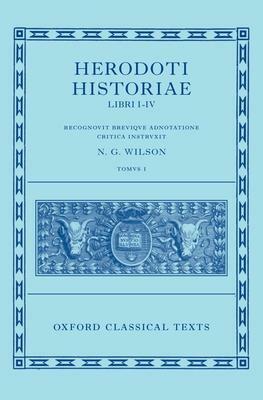 The editor has also written a commentary volume, Herodotea, to accompany this edition, in which he explains many of the editorial decisions he made while revising this key classical text. N. G. Wilson is an Emeritus Fellow and Tutor in Classics at Lincoln College, University of Oxford.